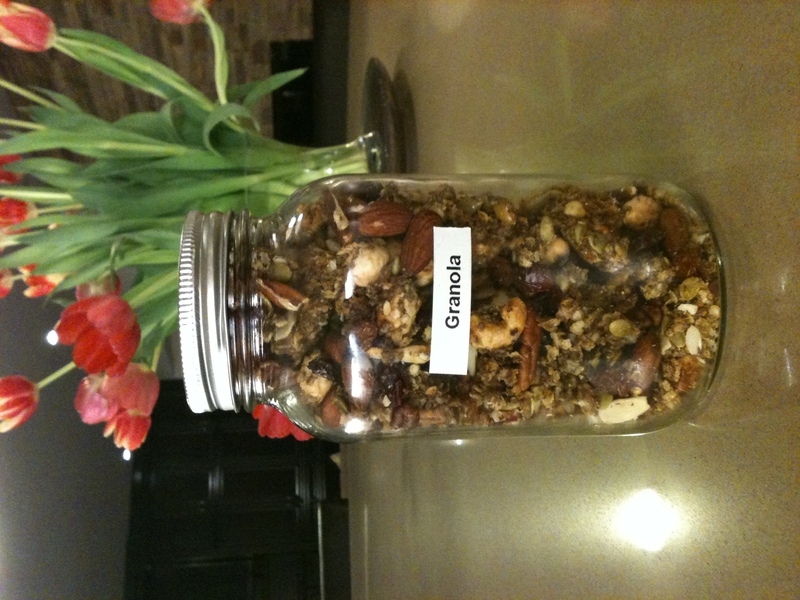 For all you granola lovers out there, this recipe is for you!! I have been experimenting with it over the past couple months and I finally got it the way I like it. It is crunchy and sweet, AND 100% free of any additive, presevatives and added sugars! It is also fully of protein and fibre. We eat it by the handful and my kids actually LOVE it. 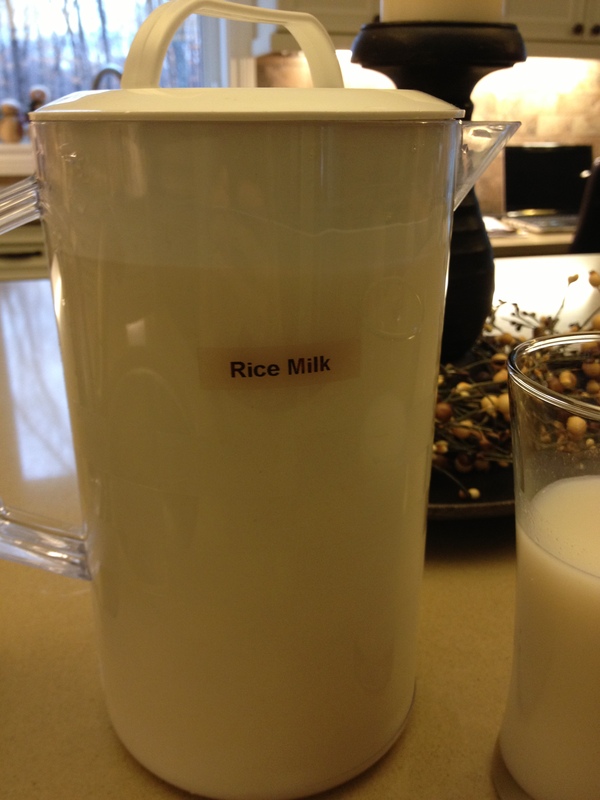 (which is a miracle because they are so picky these days) It is also delicious as a breakfast cereal with rice milk. 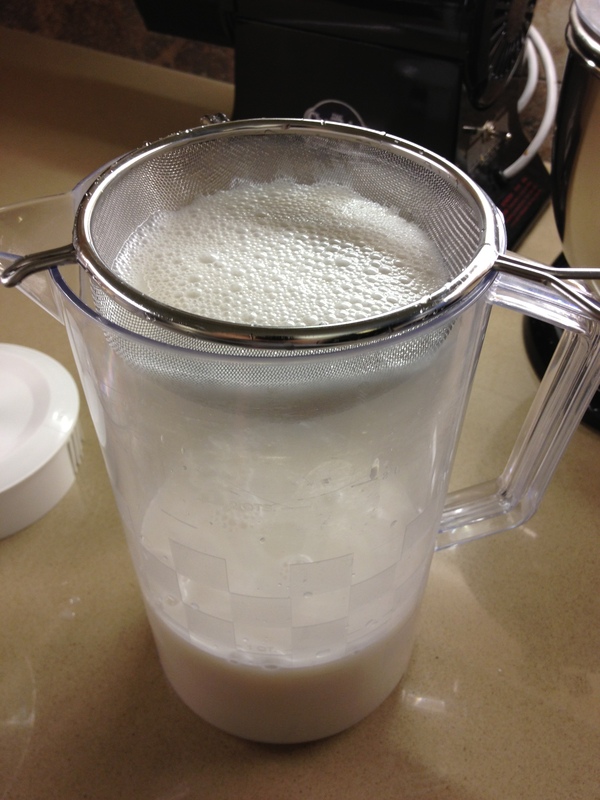 I usually make a double batch each time because it gets used up so quickly. So be blessed and enjoy! 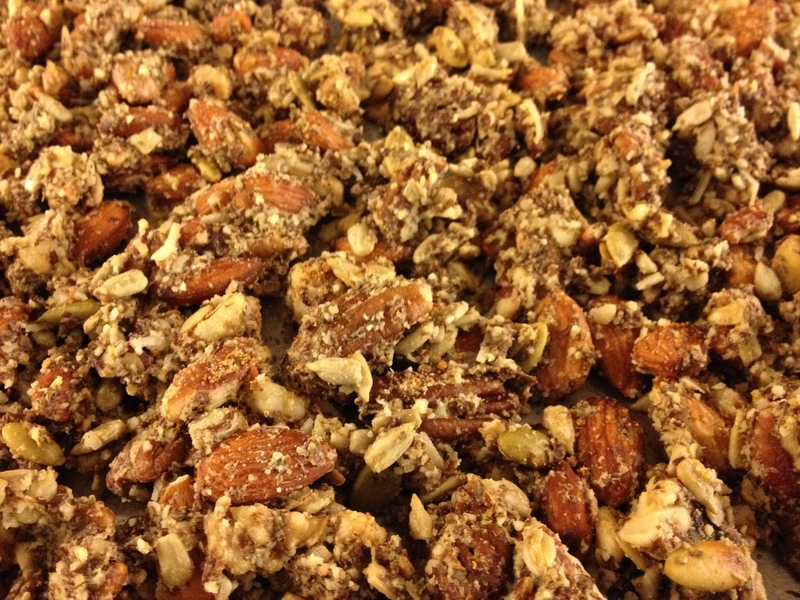 Preheat oven to 325 F. Mix the quinoa, flaxseed, pumpkin, cashews, maple syrup and almond oil in a bowl. Spread out on a baking sheet. Bake for 30 minutes. Remove from the oven and scrape up the mixture with a spatula. 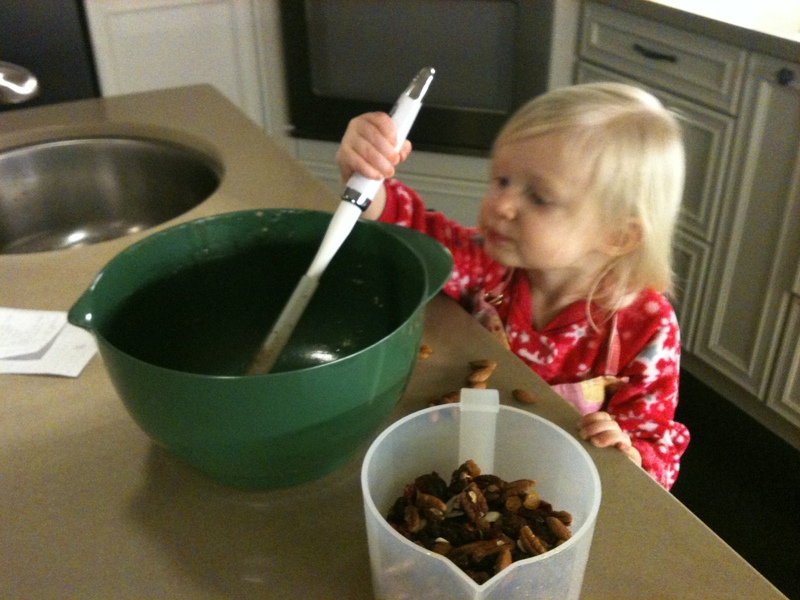 Mix in the almonds, pecans, raisins , cranberries and sunflower seeds and spread out evenly over the pan. Bake for another 10 minutes. 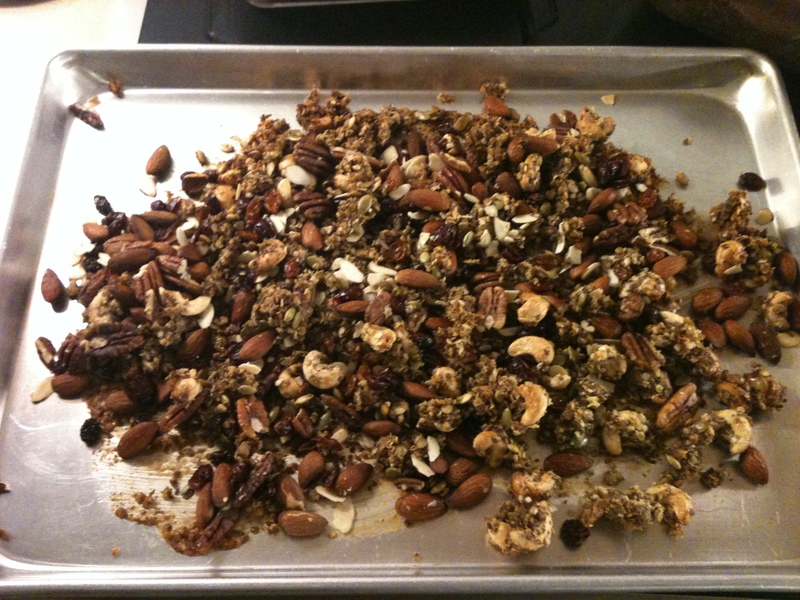 Remove from oven and scrape up the granola from bottom of the baking sheet so that is doesn’t stick and allow to cool for 10 minutes. Store in an airtight container. 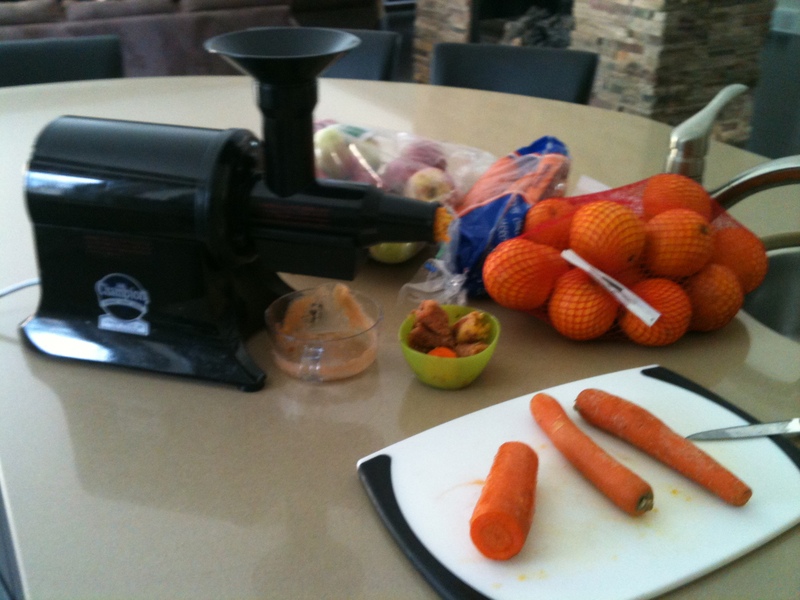 At the beginning of November we dusted off the old juicer and decided to start using it again on a daily basis. 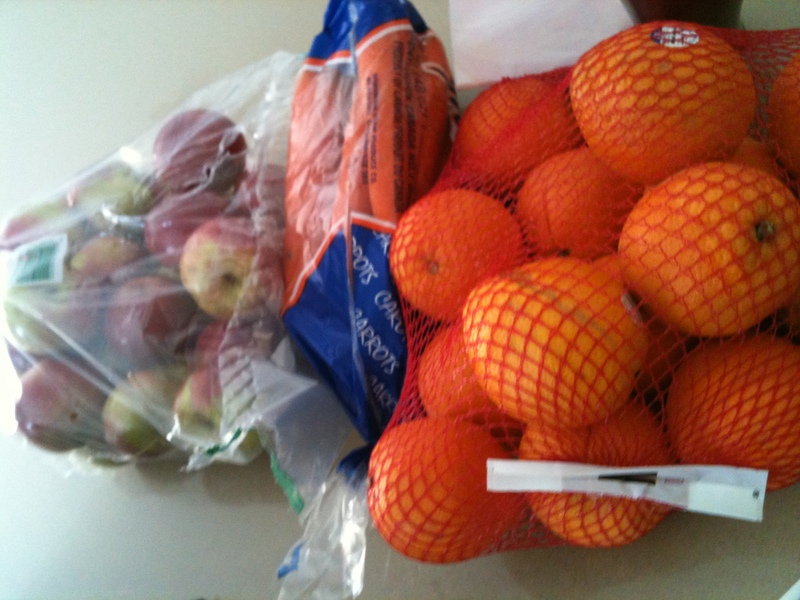 I bought some bulk fruit and veggies; carrots, celery, apples and oranges and started juicing every day with our kids. It has been really fun to allow the kids to help me and to watch them really enjoy the different flavours of juices that we make together. 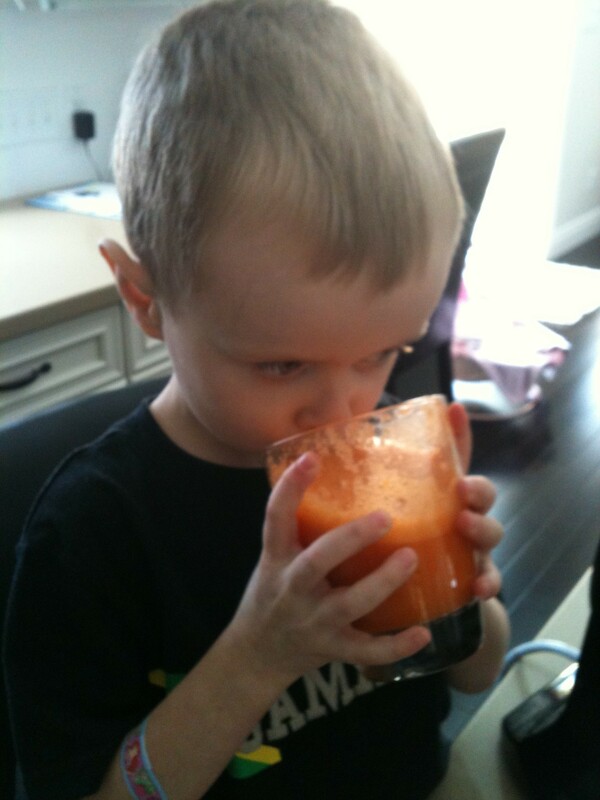 Their favorite juice is Apple/Orange/Carrot juice, its sweet and filled with goodness (recipe below). I also put 5 drops of children’s probiotics into the juice each day so that they are getting a regular probiotic, as we do not consume yogurt or other dairy products which sometime have probiotics in them. Juicing provides vital nutrients, antioxidants, vitamins and minerals for our bodies to repair themselves, it also helps strengthen the immune system which is beneficial in these days when flus and other colds run rampant. 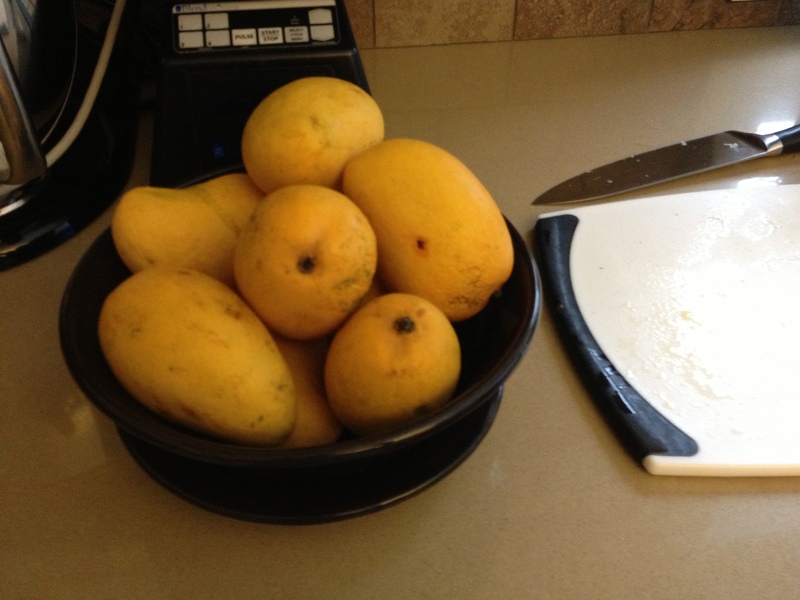 Juicing unlocking nutrients in raw foods. Fiber is locked into many vegetables and fruits and the potential benefit of the fiber is lost as the digestive system does not unlock it. 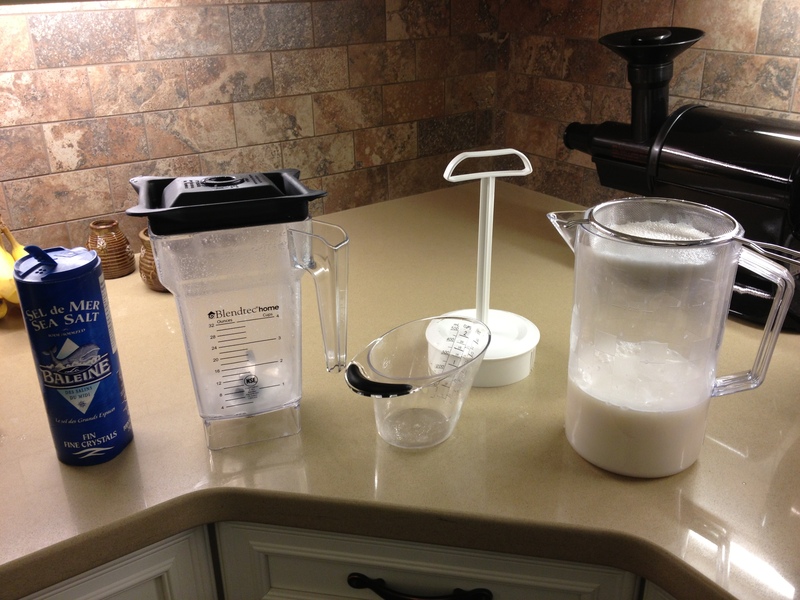 Juicing releases the fiber’s nutrition so that benefit may be realized. Heat kills live enzymes. 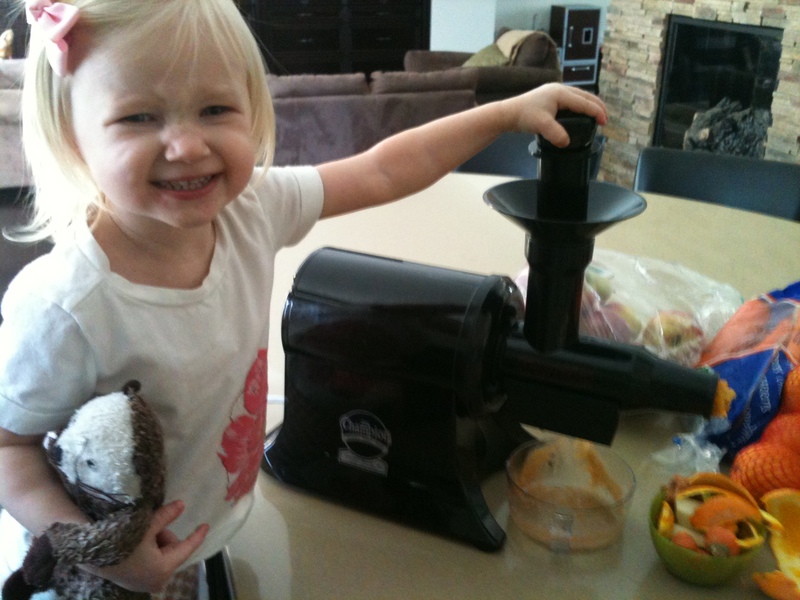 A quality juicer minimizes heat in order to preserve the most live enzymes possible. Juice is an excellent snack or meal replacement. Antioxidant effects of juices help detoxify your body and help you eliminate the toxins, fats, preservatives and chemicals that a diet of processed foods leave behind in your body. The most readily digestible or absorbable form of foods, not to mention the most concentrated form, is juice. Juicing makes foods easy to digest and thus, easier for the body to receive maximum benefit from the source food. Making your own juices allows you to make any combination of fruits or vegetables that you choose into juice – and you know what’s in it, unlike produce on the supermarket shelves. I recieved a Champion Juicer (www.championjuicer.com) for Christmas two years ago and it has been amazing. Check out their website for more details. 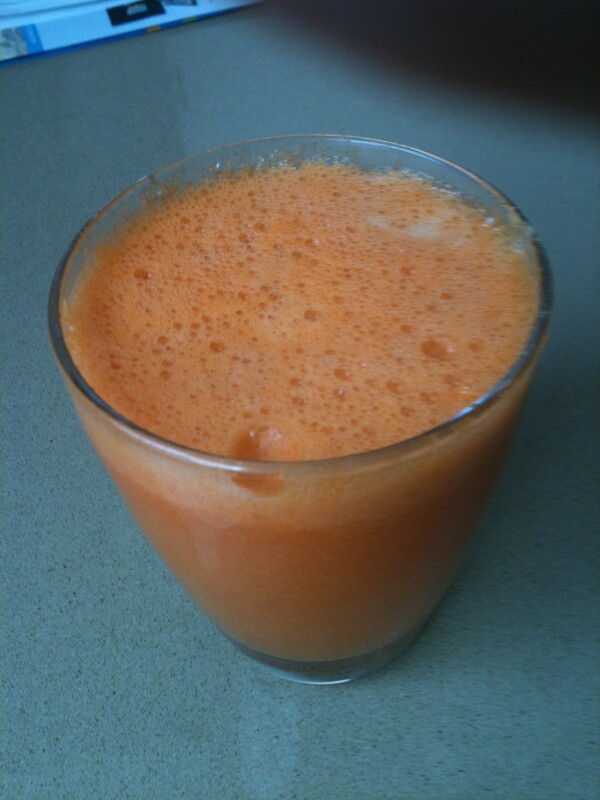 Here are a couple of recipes for simple juices. Making these juices together has really reminded me of the importance of teaching my children by example. I have been able to explain to them how there are natural sugars in fruits that are good for us rather than the added sugars that we find in juice boxes and such. (We do drink juice boxes, but only as treats) And on another level I have realized that my kids learn more by my actions than by what I say. When I get them involved and we are hands on together it teaches them more than if I just do everything for them. So I encourage you to do things together and let them have the experience. It is definitely more time consuming and messy but I trust that it is worth the investment! This morning the kids and I decided to do a little baking and this is what we came up with. 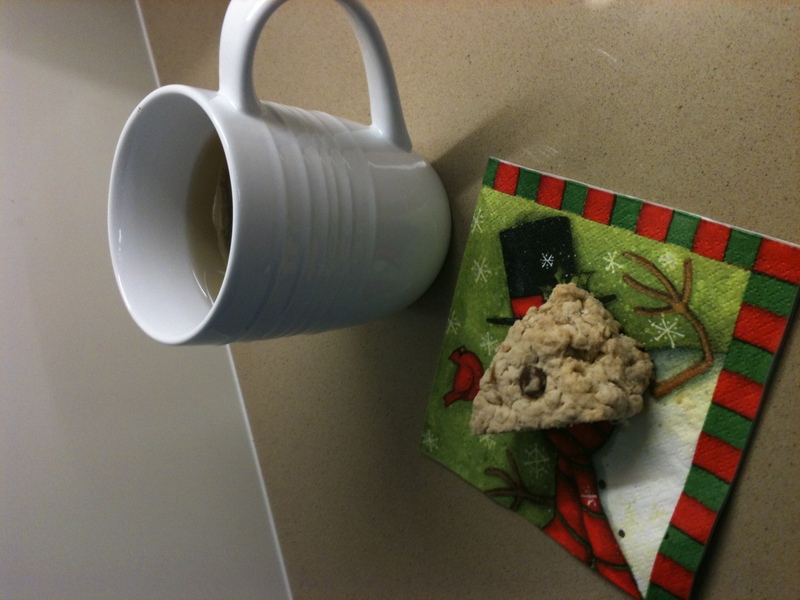 They are Homemade Oat Scones, really tasty and extra delicious with warm apple cider. 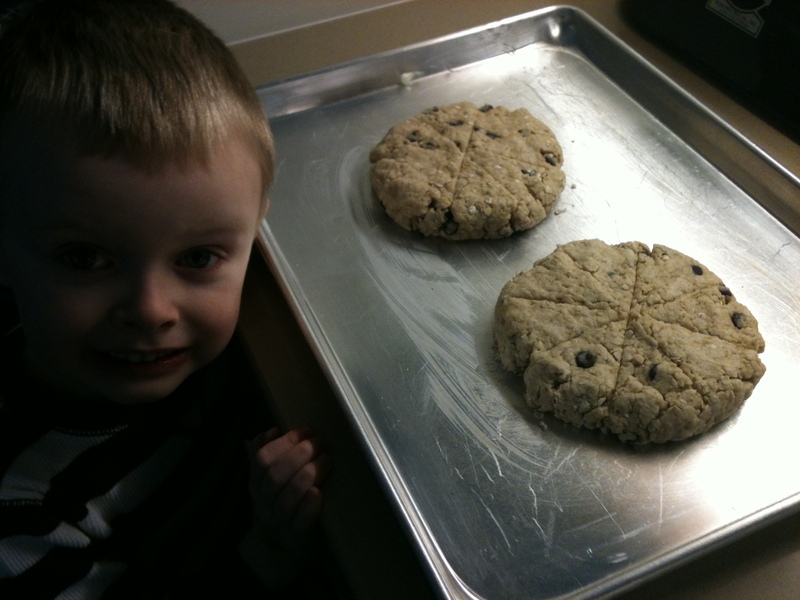 There are not many ingredients so they are fun for little ones to help with. There is no refined sugar in them and you could replace the egg with egg replacer and the butter with non-dairy butter to make them vegan if you like. “Taste and see that the Lord is good; blessed is the one who takes refuge in him” Psalm 34:8. May you experience the blessing and the refuge of our Lord today! 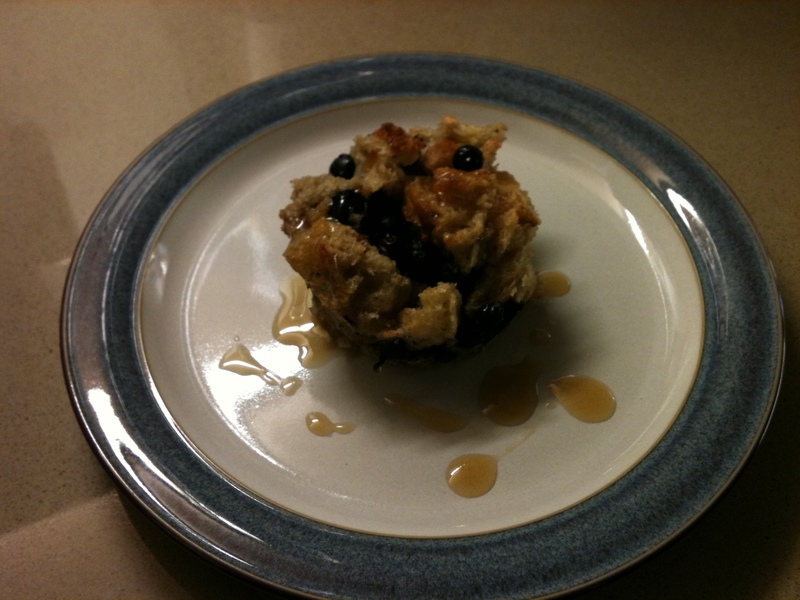 Wahoo I have a few minutes today to share this “to-die-for” muffin recipe with you while my kiddos are sleeping. 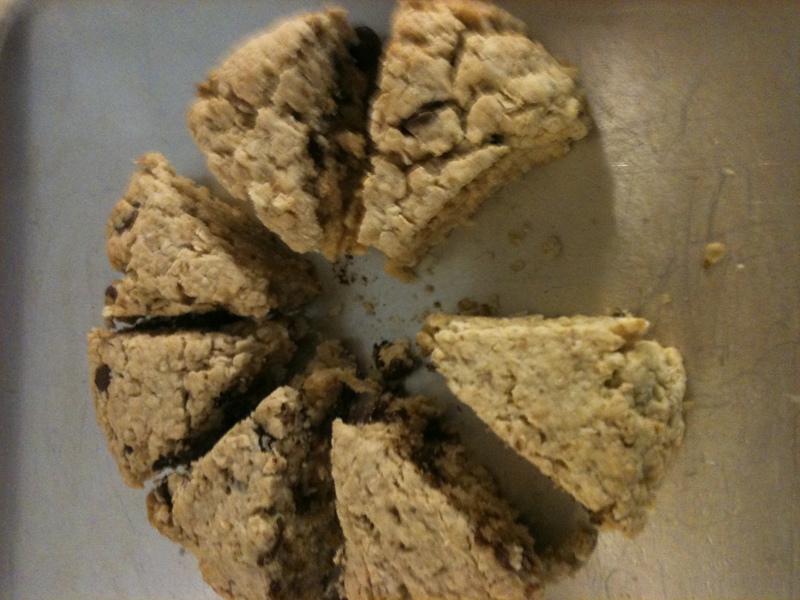 This recipe was given to me by a friend who said it was a Sobey’s recipe. I have modified it a bit to suit what I had at the time and it turned out SO DELICIOUS!!! I had to share this recipe with you because these are absolutely amazing and I think all of you should at least try them! I called it French Toast Challah Muffins because that was the only kind of bread that I had but you can use any whole grain bread as well. I was able to make with with the leftover Challah bread I had last week! They taste amazing, took 5 minutes to prepare, AND my kiddos loved them! 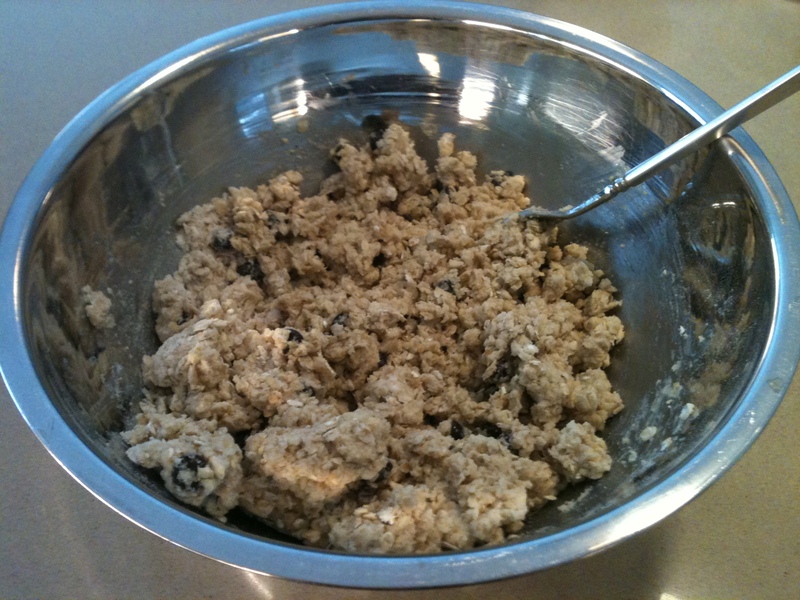 In a bowl add the first 5 ingredients. Add bread and toss until egg is absorbed, then add berries. 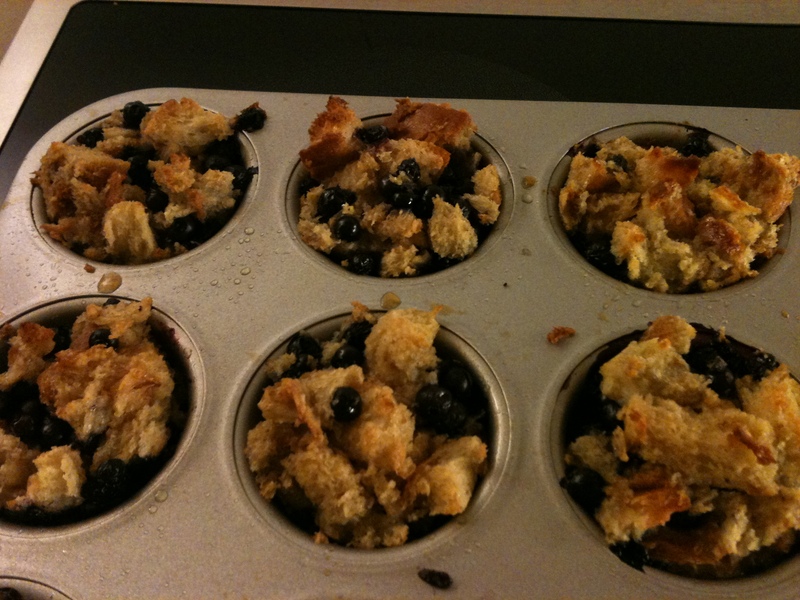 Toss and divide into muffin tin (12 lrg) and drizzle with maple syrup. Bake at 375F for 15-25 minutes. Serve warm and add more maple syrup as desired!